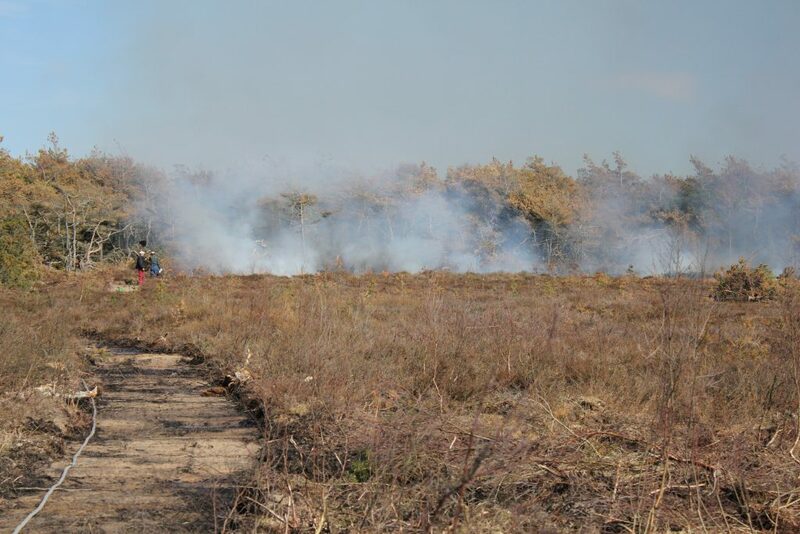 Prescribed burnings are cost effective ways to reduce litter, to lean the vegetation and, as in the old days, to renewal the grazing for the cattle. Below a spring burning at Haverdal in the County of Halland. Observe the bulldozed firebreaker at the left in the Picture. In several sites, repeated burnings have been made on the same area to thin out the vegetation and to reduce the mosses, lichens and litter. 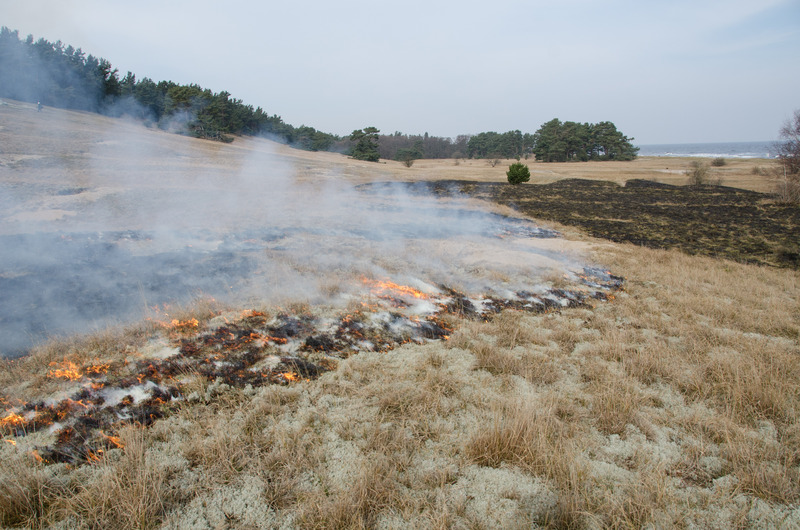 Here burning of xeric calcareous grasslands at Vitemölla in Verkeåns dalgång in the County of Skåne. In many sites natural fire breakers can be used like roads, streams, small paths etc. 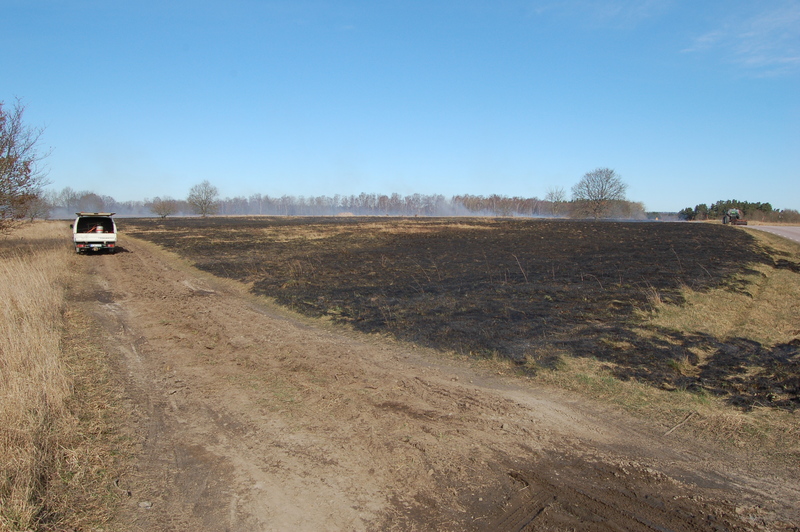 In other sites we needed to create fire breakers and here a ploughed firebreaker at Revingefältet in the provinse of Skåne.